I have already discussed at length some of the ways a victim consumer can empower himself or herself by affectively and effectively striking back at bad business practices. [See the portion called “Consumer Rights” in the web page entitled “The Corporate Elite Bully” in the BullCrap Busters Website for further details]. Another thing that can be done when the bully coward business has all the power and the individual victim has none is to file a CREDIT DISPUTE. The Dizengoff Avenue Hotel located on 133 Dizengoff Avenue in the city of Tel Aviv 6346102, in the country of Israel, whose phone number is 03­694­3000, was another bad business entity we had to file a CREDIT CARD DISPUTE against in order to make us whole ­ restore our dignity and recover our money. [See Current Events 7/5/15 web page, which explains how Credit Disputes are an affective and effective way to defeat the bully coward businesses that have all the power when the individual victim has none]. The Dizengoff Avenue Hotel was the worst hotel experience we have ever had in our entire lives. And we have been to many­a­hotel both short term and long term. Our stay at the Dizengoff Avenue hotel began on September 5, 2014 and was scheduled to end on October 31, 2014. But upon our check­ in, ETTIE HAUPTMAN, the manager of the Dizengoff Avenue Hotel, demanded we pay our money in advance. After we paid with our debit Visa card, Ettie Hauptman refused to give us a receipt until we insisted that she do so. When my spouse, who happens to be a retired engineer, told her he was not able to figure out the hotel’s confusing bill, Ettie Hauptman rudely remarked to him, “It’s simple math”. If the reader is interested in viewing the Dizengoff Avenue hotel receipt showing we paid for our stay from 9/5/14 through 10/31/14 then please go to the following hyperlinks at www.bullcrapbusters.com. Then one day, while we were sitting on some stairs waiting for the maid to finish cleaning our hotel room, without any warning as to which way she was going, Ettie Hauptman almost damaged my brand new Macintosh (Apple) Computer when she nearly stepped on it with her high heels. Instead of apologizing for the incident, she told us we ought to have moved and said to us, "I have to attend to the hotel guests" as if we were not hotel guests ourselves. One evening, after Ettie Hauptman gave us permission to print copies, we came to the front desk clerk on duty, whose named was TZIPPI, to print out a few of our portable document format files from our thumb drive. Shortly afterwards, Tzippi called our hotel room and told us that the hotel computer had crashed as a result of her printing out our documents. Alarmed and baffled, we went down to the front desk and showed Tzippi that our computer did not crash when we loaded our thumb drive into it and opened the same portable document format files Tzippi had made copies from for us Tzippi ignored our demonstration, told us that our computer was different than the hotel’s computer, and continued to claim that our portable document files had introduced a virus into the hotel’s computer. An hour later, we noticed that the hotel’s computer was working fine. Shachar, the next shift’s hotel front desk clerk, made a few more print outs for us from the hotel’s computer from the same portable document files on our thumb drive. The next time we saw Tzippi, I told her what happened. To our astonishment, Tzippi got very angry. She said nothing to us, but, her face turned red, she put her right hand over her mouth, and her right hand started shaking as she dragged her fingers away from her lips. Other than an occasional change of towels and sheets, we almost never requested maid service and always posted the “Do Not Disturb” side of the hotel door sign out to let the maids know not to clean our hotel room. One morning we informed Ettie Hauptman that we were requesting full maid service for the day. She told us we will get it. And we put out our “Please Make Up The Room” side of the hotel door sign to let the maids know to clean our hotel room. Around 3:00 in the afternoon that day, a maid barged into our room without even making the customary hotel knock that all hotel staff do, and angrily told us that she cannot clean our room because she did not have time to and since the other maid is not with her. We thought this was weird for the simple fact that the few times that our room got a full cleaning the other maid cleaned it all by herself. So we told her, “Okay. Can you just change the bed sheets and give us new towels?” She said, “Yes” but angrily and hurriedly removed the bed sheets while our computer was still on the bed. I told her to wait a moment so we can remove our computer. She ignored me and continued to pull the bed sheets off of the bed. Our computer started to fall onto the floor. Luckily, I was able to grab it before it did. After that, we left. When we returned to our hotel room the maid had cleaned the whole room all by herself. In addition to changing the bedding and towels she had washed the floor and cleaned the toilet and sinks. During the evenings we had been regularly putting our trash down the hallway away from our hotel room door for the maids to take away on the days we did not request cleaning. In the morning the trash was always gone. But one morning when I opened up the hotel room door to go out, I almost tripped over the trash, which had been placed right in front of our hotel room door. ​ One afternoon, we noticed that the air conditioner dripped a pile of water onto the hotel floor. So we alerted LERON, the front desk attendant at that time. He came up to our hotel room to inspect the leaking air conditioner. Then, he told us that tomorrow a repairman will come and fix it. After that, he asked us “Are you going out?” We thought this was a strange question to ask us for the simple reason that Leron told us that no one was available to take care of the dripping air conditioner today. So I asked him why he asked us this question. He answered, “I did not ask you that”. The following afternoon around 5:00 p.m., a maid knocked on our hotel room door, even though we had posted the hotel room sign on the side that says, “Do Not Disturb”. When we did not answer, we heard her attempting to enter our hotel room without our permission. When we opened the door, we saw a hotel key in the maid’s hand pressed against the lock to our hotel room door. As soon as she saw us, she went away. ​ Due to the above three strange incidents, we became concerned for the safety of ourselves as well as for the safety of our belongings. This made us feel trapped in our own hotel room as if we were Adolph Hitler Nazi Concentration camp prisoners at the Dizengoff Avenue Hotel. On 9/18/14 we had to leave our hotel room that we were renting for $US 100.00 per night for we had important business to tend to. So we rented a car for $US 52.77 for the day in order to have a space to safely store our possessions in. If the reader is interested in viewing the rent a car document showing we paid for a rent a car for the day of 9/18/14 to Eldon then please go to hyperlink Eldon Invoice at www.bullcrapbusters.com. ​ If the reader is interested in viewing our bank statement showing we paid for a rent a car for the day of 9/18/14 to Eldon then please go to hyperlink Washington Federal Bank at www.bullcrapbusters.com. ​ We had a very important document in transit that was being sent internationally to us via Fed Ex. Fed Ex only delivers packages to residential addresses. So, despite the despicable mistreatment that the manager and staff were meting out to us for no reason, we had to stay at the Dizengoff Avenue Hotel until we intercepted the parcel we were waiting for. On 10/8/14 it departed from Sandy Springs, Georgia, in the United States. On 10/12/14 it arrived in Tel Aviv, Israel, at the Dizengoff Avenue Hotel. If the reader is interested in viewing the Fed Ex Invoice showing the date the document was shipped out to us from Sandy Springs, Georgia in the United States then please go to hyperlink Fed Ex Waybill at www.bullcrapbusters.com. If the reader is interested in viewing the Fed Ex Tracking Website showing the date the document was delivered to us at the Dizengoff Avenue Hotel in Tel Aviv, in Israel, then please go to hyperlink Fed Ex Tracking at www.bullcrapbusters.com. The next day, we notified the hotel staff that we desired to get a refund for the remaining days we had already paid for but had not used. We told them we wished to leave immediately as a result of the above ongoing incidents, which were making us feel very uncomfortable. The reply that all of them gave us was that Ettie Hauptman was on vacation for the week and that only Ettie Hauptman can authorize the refund. We thought this was strange. No hotel that we have ever stayed at had any difficulty with issuing us a refund through any of its hotel staff when we had to leave early for whatever reason. ​ So I requested to speak with Ettie Hauptman. The front desk attendant also named Ettie called Ettie Hauptman and got permission for me to speak to her. But when I told Ettie Hauptman that we were demanding a refund in order to leave the hotel immediately due to the above incidents, Ettie Hauptman’s reply, and these were her words verbatim was, “I cannot talk to you now” and she hung up the phone on me. After my telephone conversation abruptly ended, Tzippi told us that she was the acting manager while Ettie Hauptman was away and so she was authorized to give us our refund. But instead of doing so, she spent the rest of the day tending to the needs and wants of every single individual who came to the front desk, except for us. She told us she had to attend to the hotel guests as if we were not hotel guests ourselves. Never mind that we had come before all of them and were waiting patiently at the front desk for our “first come first served” turn. Meanwhile, Tzippi took the liberty of yelling at us with a false accusation that we are bothering other hotel guests, and interrupting us every time we tried to speak by falsely claiming that we were not waiting our turn, which never ever came. When there were no more hotel guests to attend to, Tzippi threatened to throw us out of the hotel establishment without giving us our refund. We went online to contact the owners of the Dizengoff Avenue Hotel to report to them what was going on. To our dismay, the Dizengoff Avenue Hotel website did not have any information as to how to contact its owners. In our desperation to resolve the predicament the manager and staff at the Dizengoff Avenue Hotel forced us to be in without cause, we opened up a credit dispute with our bank for the amount of US $1,200.00, which was the amount of money we had already paid the Dizengoff Avenue Hotel but which we had not yet used. ​ If the reader is interested in viewing the e­mail sent to us by our bank regarding our credit dispute then please go to hyperlink e­-mail dated 10/18/14 from Washington Federal Bank at www.bullcrapbusters.com. If the reader is interested in viewing the e­mail we sent to our bank regarding our credit dispute then please go to hyperlink e­-mail dated 10/21/14 to Washington Federal Bank at www.bullcrapbusters.com. On October 19, 2014, when Ettie Hauptman returned to work, and read our e­mail, she immediately called us and literally ordered us to pack our belongings and get over to the front desk within thirty minutes to get our refund for the twelve days we paid for but had not yet used at the daily rate of $100 a day for our hotel room. We were down there in twenty. After she had the maintenance man check our room to note that it was okay, she issued us our refund in the form of a charge back from bank Leumi – their Israeli bank to Washington Federal bank – our American bank. If the reader is interested in viewing the fax dated 10/19/14 sent to the Dizengoff Avenue Hotel showing our refund in the amount of 4,452.00 Israeli Shekels then please go to hyperlink Bank Leumi at www.bullcrapbusters.com. If the reader is interested in viewing our bank statement showing our refund in the amount of 1,197.09 United States dollars then please go to hyperlink Washington Federal Bank at www.bullcrapbusters.com. ​ ON 10/19/14, PRESSURED BY OUR WASHINGTON FEDERAL BANK CREDIT DISPUTE, ETTIE HAUPTMAN THE SO-CALLED MANAGER OF THE SO-CALLED DIZENGOFF AVENUE HOTEL ISSUED US A REFUND IN THE AMOUNT OF US $1,200.00. 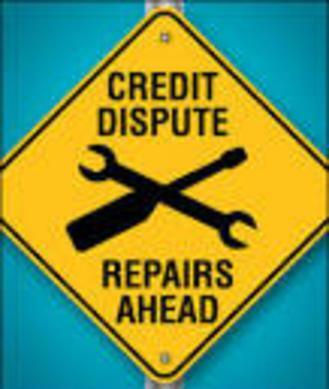 [See the web page entitled “Credit Disputes Part II Updates 7/15/15” of the BullCrap Busters website for the continuation of this write up]. The BullCrap Busters Website will transmit its signals over the Internet for as long as we have not been CENSORED off the web due the ELITE CYBER BULLY as a result of LIBEL and/or SLANDER, and/or ANTI­MARKETING CAMPAIGNS, and/or THE DIZENGOFF AVENUE HOTEL, and/or BANKRUPT by bought off justice, and/or ARRESTED and/or INCARCERATED by trumped up charges, and/or MURDERED by a staged accident by those who have the audacity to call themselves FRIENDS of humanity, yet who are ENEMIES to us who dare to exercise our HUMAN RIGHTS, namely FREEDOM of SPEECH, in order to assist HUMANITY in overcoming BULLYING.